A perfect strain for the indoor Cannabis grower, suited to both Screen, and Sea-of-Green growing methods, both of which have separate ways of dealing with the Sativa flowering stretch which this strain enjoys. ‘SOG’ growers need only a short vegetative period and more seeds per square meter, while ‘SCROG’ growers use less seeds, but spend a longer period of time developing the vegetative growth and lateral branches. 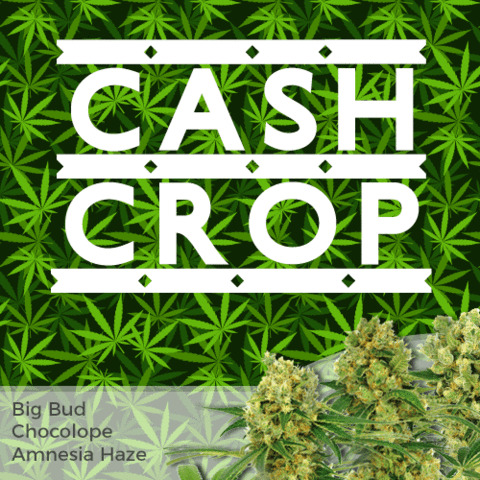 Grown indoors using either of these ‘cash-cropping’ methods and good environmental controls, mature heights will average approximately 50 cm, producing a dense, thick canopy of buds. Alternatively, outdoor growers will enjoy a far longer vegetative period, generating very large, tall plants that reach reach up to 2 meters tall when fully mature and ready to harvest. If you are unsure about which growing techniques suits you best, or are looking for help and advice on growing the best Medical Marijuana possible, why not download the free Ebook at the top of the page. 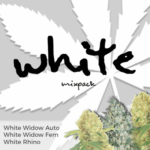 Packed full of information and advice on how to produce the finest buds, totally free, and without any obligation. 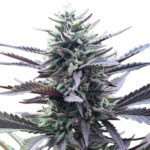 Although not a recommended strain for complete beginners, Blueberry Medical Marijuana seeds are easy to grow, and with a small amount of knowledge can produce crops of between 500-700 grams per square meter of the highest quality Cannabis buds, with all the traits, attributes and characteristics this fruity strain is so famous for. Regular Medical Marijuana seeds can generate both male and female plants. To all but seed breeders, males are useless, their only role is to fertilize the female flowers, producing seeds for the following year. You can remove the stress, time and effort spent growing male plants with these feminized seeds. Lacking any male genes, these feminized Blueberry seeds are guaranteed to germinate, growing only female plants. 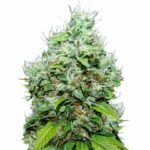 Whether you are growing indoor or outside, soil or hydroponics, Blueberry Medical Marijuana seeds offer above average, ‘cash-crop’ yields, large, swollen buds and a strong, powerful high. A great choice for both medical and recreational use. Blueberry Medical Marijuana is a very tasty Cannabis strain with an exotic, sweet berry and blueberry flavor. Its strong fruity aroma wets the appetite, while the light green buds offer a colorful display of red, purple and almost blue colored hairs. 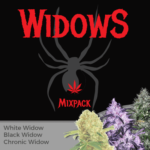 An exquisite strain on the eyes and like candy on the nose, gives the buds instant bag-appeal, a real ‘must-have’ strain for fruity Marijuana lovers. Blueberry Marijuana has a THC content of approximately 16%, and high CBD levels. The dominant Indica genetics generate a relaxing ‘body-buzz’, while the Sativa influences create a happy and euphoric feeling. A great strain for night-time smoking, and perfect for using the trim to make high quality edibles. Blueberry Medical Marijuana has a wide range of uses. Proven to reduce stress and depression, it can also assist in inducing sleep and has proven very useful for insomniacs. Indica dominant Marijuana strains are also known for their natural pain relieving properties. Blueberry Medical Marijuana may also be used to help with: Anxiety, Migraines, PTSD, ADD/ADHD and Bipolar Disorder. 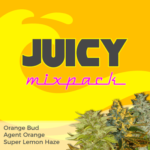 You can buy Blueberry Medical Marijuana seeds in packs of 3, 5, 10 and 20 feminized seeds. World-wide postage and super-stealth packaging are included in the price, and delivery is guaranteed. To find out more about buying Blueberry Medical Marijuana seeds online, click below.